When I was very young, I watched a clip on Sesame Street that left an impression on me to this very day. Maybe you know the one. The clip showed a young girl running up a few steps to a stage, where she quickly sits on a metal folding chair. A few seconds later, violinist Itzhak Perlman approaches the stage and climbs the steps. It takes Perlman significantly longer to climb the steps, as he must maneuver them with his crutches. Once on stage, Perlman takes a seat, too. He then tells the girl that some things that are easy for her are hard for him. He picks up his violin and plays for a few moments. Next, the girl replies that some things that are easy for him are hard for her. And then she picks up a smaller violin and begins to play. I was spellbound, completely and utterly captivated. I had no clue that Perlman was a world-famous violinist, all I knew that there was a girl, not too much older than me, who could make magic happen with her violin. And I wanted to do the same. And so I asked my mom if I could play the violin. And the long and the short of it is that she told me to try piano first because we had one sitting unused in our living room. But there was no cool Sesame Street piano video, I wanted to play the violin. And so, being the stubborn soul that I have always been, I refused. But I’ve always had a special place in my heart for the violin. My favorite song, Two Step, features a fantastic violin solo. A huge country music fan, the fiddle always makes me want to get up and dance. And now, at 37-years-old, the only thing I’ve ever played has been Hot Cross Buns on the recorder and a little Heart and Soul on the piano. If we’re being honest, I still want to play the fiddle. Sometimes, I wonder what would have happened if I had taken lessons as a child. 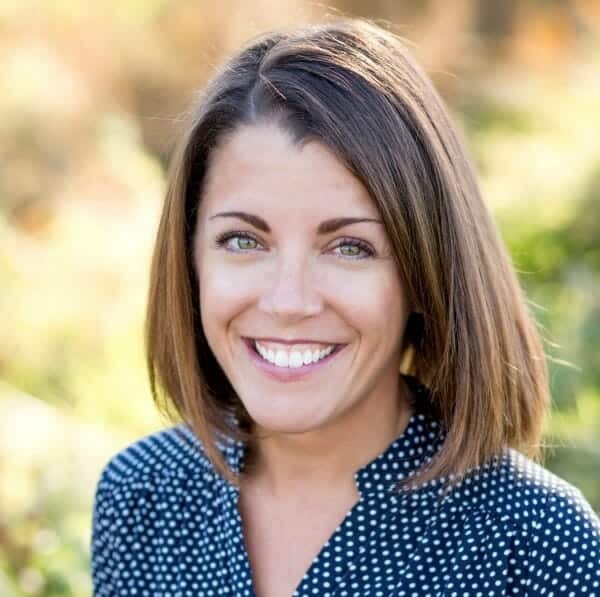 When talking to my husband, I’ll often joke that I could have been buddies with Boyd Tinsley, or played with the Dixie Chicks, or… can you even imagine… back-up for Kenny himself. Despite having never played an instrument, music has always played a huge role in my life. And I want my children to grow up in a home that values music. I want them to have the opportunity to play an instrument and sing and dance. I want them to learn about the history of music. Among the many homeschooling perks, I love that we have the space to focus on the arts. The only trouble is, how do you provide a solid foundation in music appreciation when you lack a musical background? And that’s where Music Appreciation for the Elementary Grades comes into play. 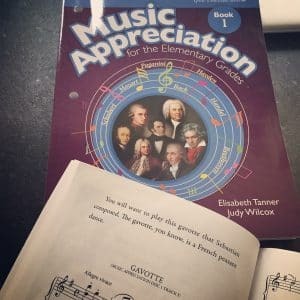 *Disclosure: I received Zeezok’s 2016 Music Appreciation for the Elementary Grades Book 1 Collection and was compensated for my time to write this review. I was not required to write a positive review and, as always, I only write about products that I would use with my own family. We love this curriculum, folks! Here’s the truth, you guys: I already knew about Music Appreciation for the Elementary Grades by Zeezok Publishing. It has been on my homeschooling wish list since I first started researching curriculum. So when I was presented with the opportunity to review it, I jumped for joy. There are so many reasons why Zeezok’s Music Appreciation for the Elementary Grades works so well for our family. It’s not often that you stumble upon a curriculum that feels as if it were made for your family, but this is one of those situations. I could list countless reasons why this program is a winner, but I’m going to narrow it down to my top five. While I love to dance in my kitchen, I have zero background in music education. I’ve never taken a music lesson unless you count the recorder back in 4th grade. I’ve never taken a music appreciation course. I can’t listen to the classical station and identify much of anything. But, what I can do is learn alongside my children. I have thoroughly enjoyed every minute spent with my children and this curriculum. 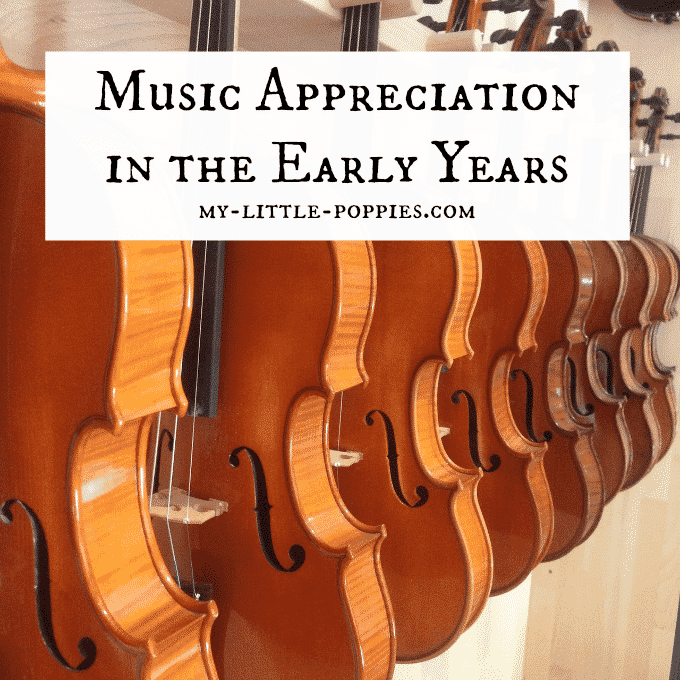 Believe me when I tell you that Music Appreciation for the Early Grades Book 1 Collection is easy to implement and not at all intimidating. And while it’s not intimidating, it covers all the bases! Music Appreciation for the Elementary Grades is structured to be a thorough music appreciation program with an introduction to music theory. 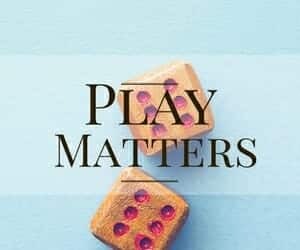 It has been designed to meet all of the national benchmarks required for music appreciation for kindergarten through sixth grade. Part of the reason why this program works so well for us is that it involves read alouds. We are a family of readers and read alouds are the spine of our homeschool. We have read incorporated music-related books into our homeschool before, but we have not read composer biographies before now. We’ve only read two of the seven so far, Bach and Handel, but we’ve enjoyed the books immensely! They are well written and engaging for children and adults alike. Each book includes illustrations and written music. My oldest, who takes piano lessons, has been fascinated by the written music contained in each book and has been inspired to practice more! 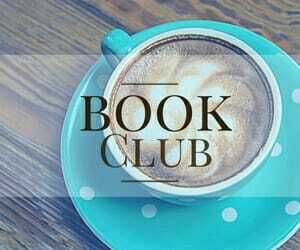 Because this program involves read alouds, it is a curriculum that you can use with all of your children. 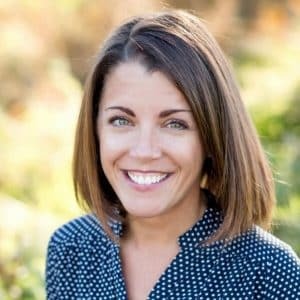 The readers and nonreaders alike will enjoy the stories and they will be exposed to the same content, and all corresponding activities can be adjusted to each grade level by adapting the level of parent involvement. 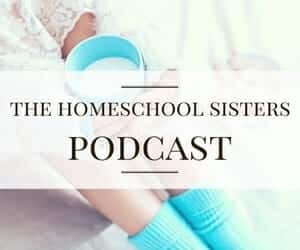 I love that the program is flexible for busy families. Each composer has been given four weeks, with various activities spread out amongst those weeks, but this timeline is completely flexible. 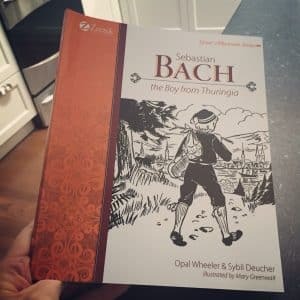 We started with Bach just before the holidays and we went at a leisurely pace due to holiday chaos. We even took a two-week break to study Christmas carols, but it was easy to get back on track once the dust had settled. 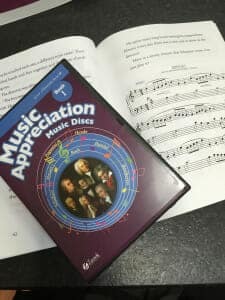 Music Appreciation for the Elementary Grades Book 1 Collection includes 5 CDs filled with music for the curriculum that corresponds with the weekly activities. As you read the biographies, you will come across written music. In that moment you can play the exact piece the book mentions. This makes the stories and the music to come alive in your home. 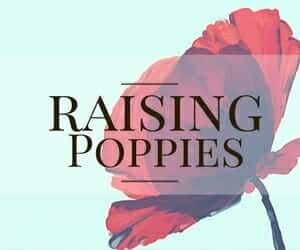 The CDs include an additional 90+ minutes of professionally recorded pieces, plus an explanation and demonstration of each of the instruments from Benjamin Britten’s Young Person’s Guide to the Orchestra. This is so much more than a music study, folks. Each week includes multiple hands-on activities to supplement the reading! I love how easily this program fits into our family routine. Typically, we use this program just after lunch. I brew some tea, because everything is better with tea, and we get to work. I love this curriculum so much that I went out and purchased the supplemental coloring books. I find that my children listen better when their hands are busy. While I read, they color the corresponding composer pages. This is a wonderful way to keep them both calm and engaged in the learning process. We keep our CD player handy and whenever a written piece is included in the story we pause to listen. Often we listen to it more than once. We don’t rush back into the story but rather leave some space to reflect and talk about what we just heard. As I mentioned earlier, we started this program just before Christmas. We have studied Bach and we are almost finished with Handel, so we are taking a bit more than 4-weeks for each composer… and that’s okay! What is most important is that we are having fun and that we are all learning together. I plan to continue with this program until we finish it. And, I’ve already researched it: Zeezok is working on a Music Appreciation for the Early Grades Book 2 collection and it is scheduled to be released in the spring of 2017. I plan to purchase the second collection upon its release and will budget for it because it has been a wonderful addition to our family. Do you want to try Music Appreciation for the Elementary grades? If so, you’re in luck. Music Appreciation for the Elementary Grades is available through Zeezok Publishing. It retails for $207.62 but the set is available for $169.99. From March 7-25, 2016, you can get 10% off your order when you use the coupon code ihomeschool16. I also want to let you know about a giveaway. Zeezok is giving away one complete kit. You can enter by filling out the form below and all terms are listed therein. If you’ve enjoyed this post, be sure to follow Zeezok Publishing on Facebook, Twitter, Pinterest, and YouTube. And, guess what? I found that old Sesame Street clip! After finishing this post, I was curious about that little girl with the violin. I wondered if I could find that clip and, folks, I did! Not only did I find the clip, but I found an article talking about how that one minute clip inspired an entire generation of violinists. You can view the video and read the article here. You guys! I could have played with Kenny!! Now, it’s your turn. 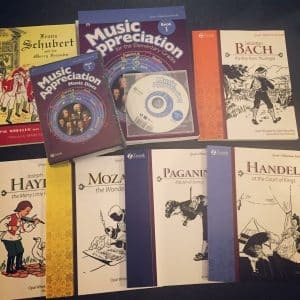 Tell me: Do you incorporate music appreciation into your homeschool routine? Share here! So learn to play violin, Cait! It’s never ever too late to learn something new! I bugged my parents to start playing violin with no musical experience…at age 17. I’m 34 now and I play with a local community symphony. And I teach. And one of my beginning students is in her 60s. ? My husband started taking vocal lessons four years ago. Yesterday, he just performed an aria onstage with a small opera company. It’s never too late. Go for it! You’ll set a great example for your kids about following joy, lifelong learning, perseverance, and the importance of practicing! Teaching by example, consider it time well spent! Aim for just 15 minutes a day. You’ll probably end up spending longer, but if not, 15 minutes of consistent, focused daily practice will get you surprisingly far. 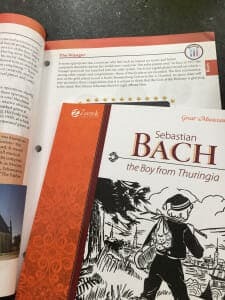 I have been considering this series because the format looks so appealing, but noticed an error in the last image in the post – that Minuet wasn’t composed by Bach! (Actual composer is probably Christian Petzold) I think I’d want to have this series in hand so I can look through it before purchasing. I agree with the previous commenter that it’s never too late to learn an instrument! I have beginning music students in their 70’s and 80’s!